Discussion in 'Supplier' started by VitoriaRi, 24 Apr 2018. The Original Shanlaan Laan Lite Pod Kit is operated with a draw activated firing mechanism and has a maximum output of 7.4W. 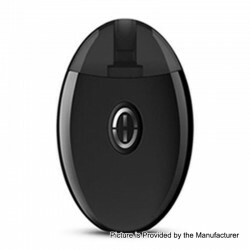 Shanlaan Laan has a refillable pod with an atomizer resistance of 1.3 ohm and a maximum capacity of 1.4ml. A 310 mAh built in battery supplies power for the device and an LED battery life indicator indicates its battery life. The Laan can be charged via the proprietary magnetic charging cable. This item also has other colors to choose. The Original OVNS JC01 Vape Pod System Starter Kit is for CBD Oil and features a compact design and small size. 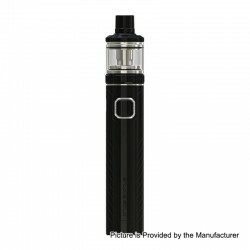 The JC01 has a built in battery with 400mAh capacity and is compatible with JC01 CBD tank. OVNS JC01 comes with 2 different pods including JC01 CBD Pod and JC01 E-Liquid Pod. CBD Pod equip with 1.5ohm resistance ceramic coil has 0.7ml e-juice capacity that bring pure flavor to you, and the JC01 E-Liquid Pod with 2.0ohm resistance and holds up to 0.7ml of e-juice with the same glass tank section. 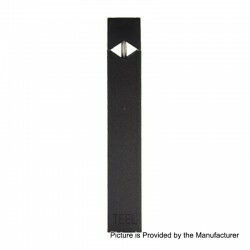 Not only are they can use JUUL battery, but the JUUL Pod also can br used on OVNS JC01. OVNS JC01 Starter Kit uses smart MCU chipset with airflow control which gives you better instant inhale experience. Moreover, the 4 LED lights will show working status, when JC01 is working, the No.4 LED light will be on, and above 3 LED lights are power indicators. This item also has other colors to choose. 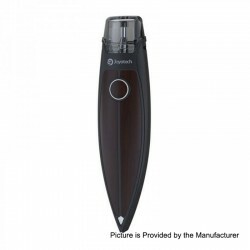 This OVNS Duo Dual Vaping Pod System Kit comes with dual vaping pods, you can enjoy 2 flavors in one device. It features compact design and portable size, which looks like Cookie. It is powered by 400mah built-in battery and can be charged via Micro USB port. The cartridge can hold 2ml liquid and it equips 2.0ohm coil head for massive cloud and nice flavor especially designed for MTL vaping. This device has no fire button and is designed with air switch for vaping, easy to use. This item also has other colors to choose. 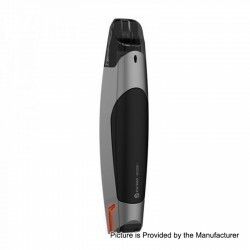 The Original Joyetech Exceed Edge Pod Version Starter Kit features with an ergonomically pod design, but coil changeable. It also features a curved shape of sports car design, convenient side-filling system, battery indicator and TPD compliant. 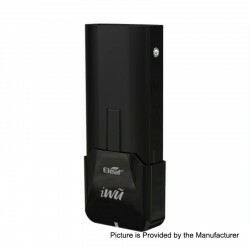 The robust and versatile pod mod with coil built system that perfectly fits the EXCEED Edge. 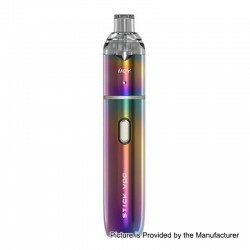 Equipped with the atomizer head with 1.2ohm resistance, Joyetech Exceed Edge Pod Kit is made of eco-friendly PETG material, and can bring pure and smooth clouds for mouth-to-lung. The Joyetech Exceed Edge Pods with 2ml e juice capacity to satisfy your daily vaping, it also can compatible with high nicotine and nicotine salts and easy to hold different e juice inside. This item also has other colors to choose. 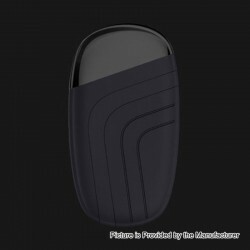 The ZK-Vape BZ Pod System is just like a car key. Although it has a compact and ergonomic design, it can still hold 1.8ml e-juice capacity. It features with intelligent battery life indicator and the leak proof slot can significantly solve leaking problem. 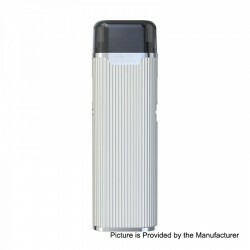 Powered by built-in 500mAh battery, its power range is 10W~12W. 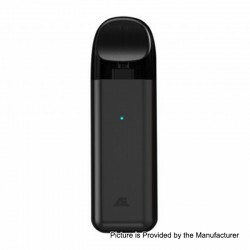 The pod cartridge is recommended for nicotine salt. This item also has other colors to choose.This item also has other colors to choose. 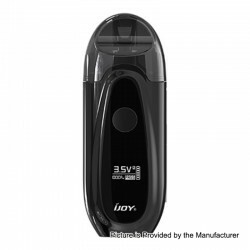 The IJOY IVPC Kit is an updated easy-to-operate vaping kit with a mini body. Equipped with an OLED screen and an exclusive all-in-one button for convenient operation. The latest innovative POD structure with bottom e-liquid injection and side air intake, giving you a smoother MTL vaping experience without any leakage. The combination of organic fiber wicking material and ceramic heating elements to bring you pure flavor with good cloud production and a longer service life. Built-in IWEPAL control chip to offer you stable output. 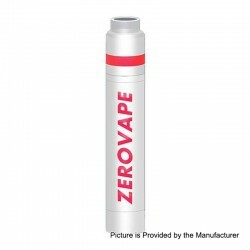 Newly increased short circuit / low voltage protection for safeguarding your vaping experience. Combined elegant aesthetic with beastly power and various functions. This item also has other colors to choose. The Original IJOY STICK VPC KIT consists of the Original IJOY Stick VPC 1100mAh mod and VPC 1.6 Pod. This item also has other colors to choose. The IJOY Stick VPC 1100mAh mod is a well-made pen-shaped vaping device with elegant and exquisite appearance and pocket friendly size, powered by 1100mAh rechargeable battery. It carries IWEPAL control chip internally to guarantee stable output The all-in-one metal button and indicator light not only give your hands generous feeling, but also illustrate the battery storage. The Stick VPC 1.6 Pod is equipped with a 2ml e-juice capacity VPC UNIPOD with an innovative side filling system for your easy operation. Built-in ceramic coil performs better than standard coils, giving you the tastier and purer flavor. The Original IJOY AI pod kit, with 450mAh built-in battery and 2.0ml refillable tank, is a portable and fashionable MTL starter kit best for nicotine salt. The pod coil adopts organic fiber cotton, which can make the liquid fully atomized and produce pure flavor, retaining the original taste and long lifetime. 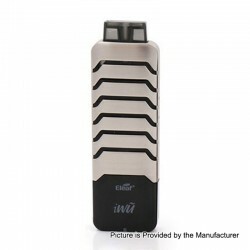 Moreover, the IJOY AI Pod Kit utilizes the advanced IWEPAL control chip for stable output and circuit protection. This item also has other colors to choose. The Original Voopoo VFL Pod system, constructed of vacuum-plated aluminum alloy and plastic, it gives you smooth hand feeling. 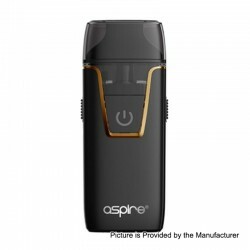 Powered by a built-in 650mAh battery, it can fire up to 10W maximum output with 0.8ml e-juice capacity. The VFL kit features 3 levels voltage to switch, you can always get your favorite taste with the 2.5V / 3.0V / 3.5V voltage options and preheating setting. 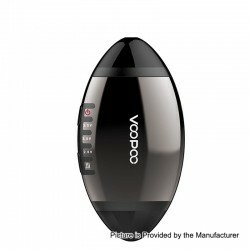 Moreover, with the two different pore sizes of airflow, the pod can be placed accordingly to connect either airflow on both sides. Equipped with ceramic coil and U-shape airflow to bring pure air and keep the original flavor. This item also has other colors to choose. The Original Joyetech RunAbout kit is an innovative vape pod system kit which is inspired by a yacht with a sleek design. Constructed by stainless steel, Joyetech RunAbout pod kit has a comfortable hand feeling for better vaping experience, and its mouthpiece is designed ergonomically, it can fit your mouth perfectly. Powered by a 480mAh built-in battery, the RunAbout also features LED indicator to display battery status. Moreover, the pod cartridge features a 2ml e-juice capacity to satisfy your daily need, which supports side filling system and better MTL flavors. And inside there're two 2ml pods for your favorite e-juice. It has a fire key, and the battery indicator will inform you at low voltage, it's a perfect device for your relax time. This item also has other colors to choose. The Original Teslacigs GG kit is a tiny and compact vape pod system kit, which can contain 2ml e-liquid and is suitable for nicotine salt. Constructed by aluminum and PC material, it has super light weight and tiny size for easy carrying. Powered by a built-in 380mah battery, it only needs 1.3 hours to be fully charged. Moreover, with the innovative gravity induction boot mode, it is super easy to operate. The biggest highlight of the GG pod system is that it supports the connection to the APP on your phone via Bluetooth, you can adjust voltage, temperature, LED light colors on the APP and see more data about the device. Though it is compact, it still has multiple protections including over 10s protection, low-voltage alert, short-circuit protection. This item also has other colors to choose. The Original HAVA One Kit, which is constructed from high-density zinc alloy material, features a compact profile and comfortable texture. With 2.85mm intake width, ensures the optimal amount of air mixes with the e-liquid, allowing you to enjoy huge clouds, strong flavor and immediate vaping experience. Its refillable 2ml pod hidden in the magnetic front cover allows you to easily refill e-liquids or replace a pod. The HAVA One boasts 3 power output modes, you are not restricted to only one vapor taste. Easy to use and with dense clouds and natural taste, the HAVA One completely fulfills your vaping needs. This item also has other colors to choose. 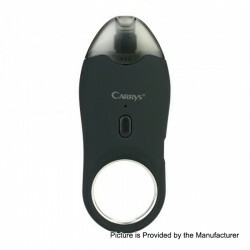 The Original Carrys Ring 300mAh Pod Kit is very lightweight and comes with the innovative ring design, which is very convenient to carry. Powered by built-in 300mAh battery with the LED battery indicator light, the Carrys Ring can bring you great vaping experience. The device will also shut down without any operation in one hour. 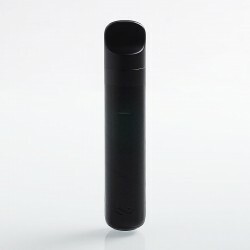 And the Carrys Ring Pod Cartridge comes with 1.0ml e-juice capacity, featuring the unique ceramic coil and side air intake design for huge clouds. This item also has other colors to choose. 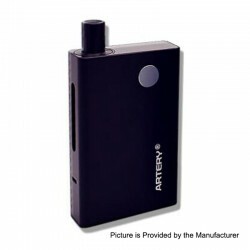 The Original Artery PAL Mini Pod System Kit inherits the appearance of its predecessor while shrinks the size to an extreme. Inspired by a cardcase, the PAL Mini is thin and portable in your hands. With 1.1ml juice capacity and a built-in 1000mAh battery, the starters will enjoy a simple vape for a long-lasting time. The Artery PAL Mini comes with two different pods: the 1.6ohm ceramic wicked pod is perfect for high nicotine e-juice, while the 1.0ohm organic cotton wicked pod is best for regular liquid. The innovative pull-out refilling system upgrades the juice filling to a new level. This item also has other colors to choose. The Original Perkey Vapor LOV Transformable Vape Pod System Starter Kit is the first transformable device in the world, which can transform between pen style and loving heart. Powered by built-in 320mAh battery, it comes with a transform structure in the middle of it, you can screw to change the shape. Equipped with 1.6ml e-juice capacity Pod, it offers pure flavor and smooth taste. The V shape tank bottom makes e-liquid could be used up completely. The special air pathway and hidden top airflow can prevent leaking and produce bigger vapor. 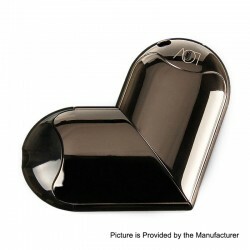 The Perkey Vapor LOV utilizes built-in constant-output chip and there are multi protections for you option. It may be charged via micro USB cable in a short time. In the bottom of the LOV Kit, there is a hole that can match any accessory you like, and you also can make it as a decoration. 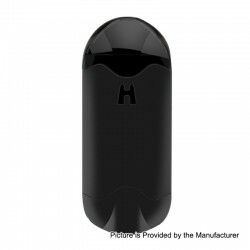 The Original Hugsvape Surge Pod Kit is a convenient pod system device with 600mAh inbuilt battery. 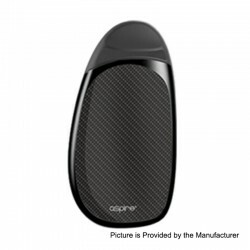 The pod comes with 6ml of juice capacity and 1.0ohm coil. There is no button for the decice. Surge pod will work immediately after detecting the draw pressure when you inhale from the mouth piece. The pod kit comes with LED light indicator. It can be easily charged via USB port. This item also has other colors to choose.